All the tips and tricks you need to get the best deals during your next online shopping spree. 1. 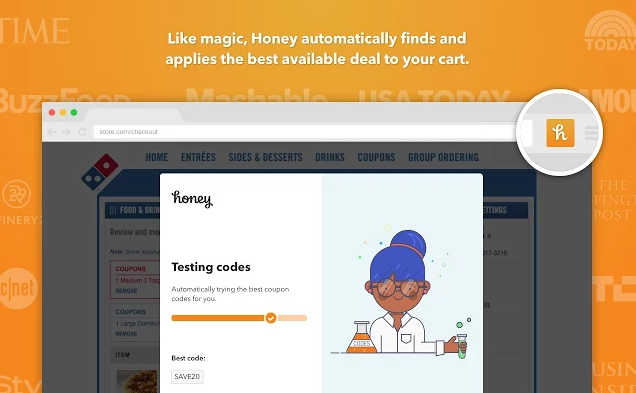 Use shopping extensions like Honey to automatically add coupons to your orders. Honey will add the best coupon codes to your order at checkout, making it extremely simple to save a few dollars while shopping. 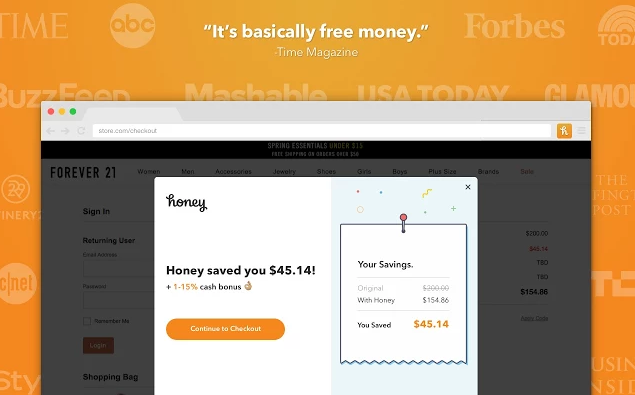 Get Honey for Chrome, Safari, and Firefox for free. 2. Ask for discount and coupon codes straight from the source (even via DMs). Those pop-up dialogue boxes are annoying but can also help you score discounts! Next time one interrupts your online shopping binge asking if you wanna chat, don't let it go ignored. Ask if they have any promo codes they can share with you. They can sometimes give you access to deals that you wouldn't have known about otherwise. In that same spirit, you can also email, tweet, or call customer service. According to Racked, tweeting is especially great for finding those out of stock items! 3. Don’t give up on your expired coupons. If you have a coupon that has expired, call customer service to see if it can still be used. In many cases, the retailer will choose to honor the coupon or give you a replacement deal. 4. Use services like Lyst that send notifications the second your favorites go on sale. Sites and apps like Lyst let you save your favorite items and send you notifications the second they go on sale or when they're back in stock. They also let you save your favorite brands and retailers and notify you when there are deals or new items in stock. 5. Get cash back on your online purchases using Ebates. Ebates — which we break down in detail here — is a free service that lets you earn money back on items you buy online. Ebates has thousands of partner stores that offer differing percentages of money back on your purchases. You can use Ebates through an app or add the Ebates extension to your web browser, making it easy to earn some free cash while shopping. Get the Ebates app from the iTunes Store and Google Play for free. Get the Ebates web button for Chrome, Firefox and Safari for free. 6. Just walk away...from your shopping cart to get coupons and discount codes. We've all seen those emails asking if we forgot something after spending hours bingeing at our favorite online retailer and abandoning our cart. Often these emails come with some added benefits, like discounts! Retailers will send out coupon codes to entice you to come back. 7. Don’t let your student discount go to waste. Discounts for college and graduate school students typically range from 10% to 15%. But as most college students know, any amount of money saved is always a win. And though it may be a tad shady, you can always hold on to your ID after graduation to still get the benefits of that student discount. Just make sure you check your expiration date! 8. Use Camel Camel Camel to track prices on Amazon and guarantee you're getting the best deal. The Camel Camel Camel price tracker monitors millions of products on Amazon, alerting you when prices drop and helping you decide when to buy. 9. No free shipping? Try in-store pickup to save a few coins. You can avoid paying shipping costs on an online order by having it sent to a physical store location near you. This is also helpful if you are in a rush to have your item delivered. 10. Can't find discount codes? Buy coupons and discounted gift cards on eBay. Buy coupons for places like The Home Depot, Pottery Barn, and Lowe's on eBay before a big purchase to stack up your savings. 11. Start your online shopping spree on Tuesday for the best deals. According to The Krazy Coupon Lady, online shopping is always best on Tuesdays. It's also great for airline and movie tickets. Mondays are great for purchasing cars, electronics, or a house...in case you were thinking of doing that next week. Wednesdays are good for groceries, jewelry, shoes, and golf equipment. Thursdays are the best for clothes and handbags, while Friday is great for gas. Saturdays should be left for estate sales and Sundays for personal care items and major appliances. 12. Join free rewards programs to get a discount on every purchase you make online. You can sign up for free “rewards” or “insider” programs to get a percentage off your order every time you shop at a retailer. These programs — like Madewell Insider, Sephora Beauty Insider, and Lids Club — usually include a point system that allows you to earn coupons toward purchases. 13. You can also sign up for store credit cards that give you access to awesome benefits and discounts — but use them wisely. Many retailers offer some heavy discounts if you use their credit or debit cards. You can earn points to get gift cards, free services, and even previews to upcoming sales. But remember, if you don't pay them off, the savings you're getting are basically void. Pottery Barn: 10% back on every purchase. Nordstrom: Earn 2 points for every dollar you spend at Nordstrom, Nordstrom Rack, and HauteLook. For every 2,000 points, you'll get a $20 Nordstrom Note, plus you get early access to their anniversary sale and reimbursement on alterations. Bloomingdale's: Get a $25 rewards card for every 5,000 points you earn. Macy's: Save 20% off your purchase the day you sign up and the day after. Target Redcard: Automatic 5% rebate on everything you buy at Target (there is a debit card option, which means not having to worry about paying it off)! American Express: Get free shipping with ShopRunner, when you shop at one of their participating retailers. Gap Visa: Earn 5 point for every $1 you spend at Gap, Old Navy, Banana Republic, and Athleta. TJX Rewards card: $10 Rewards certificate for every 1,000 points earned at T.J. Maxx, Marshalls, HomeGoods, and Sierra Trading Post. Best Buy: 5% back (2.5 points per dollar/$5 reward for every 250 points). 14. Time your purchases to earn store “cash” promotions like Gap Cash or Hot Topic's Hot Cash. Many retailers offer "cash" coupons, with the programs typically tiered based on the amount of your purchase. These events usually happen throughout the year. And they can lead to some major savings on a future purchase if you redeem your coupons before they expire. 15. Sign up for brand and store newsletters to get access to special discounts, one-time coupons, and free shipping. Most (if not all) retailers will offer anywhere from 5% to 30% for signing up for their newsletters. Often you can even sign up via text and use the discount in store. If you don't want to be bombarded by all this junk mail, create a separate email address just for retailers. That way when you want to shop, you can just see which deals are available. 16. Follow your favorite brands and stores on social media for discounts and sale notifications. Brands will often announce sales, new items, restocks, and special promotions on their social channels. You can be the first to know and get special deals by following them. 17. Don’t hesitate to request a price match. You can always request a price match for an item you are considering buying from a retailer. However, this only works if you find the same item for less at a competing store. Make sure to keep the ad or website link for the cheaper product handy. The retailer will need that info to complete the price match. 18. 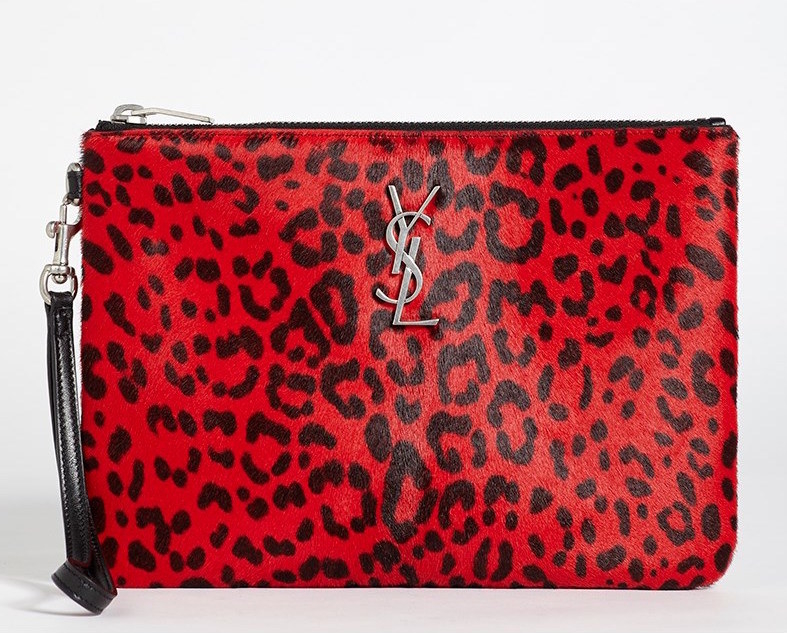 Find some major steals and deals on designer items using online consignment sites. The preowned luxury items posted on sites like Tradesy, Vestiaire Collective, and The Real Real have had their prices greatly reduced. Plus, the items are vigorously inspected by the companies before they are posted for sale, ensuring the authenticity of your purchase. 19. Or find high-end designer goods in unexpected places like Burlington, Amazon, and Zappos. 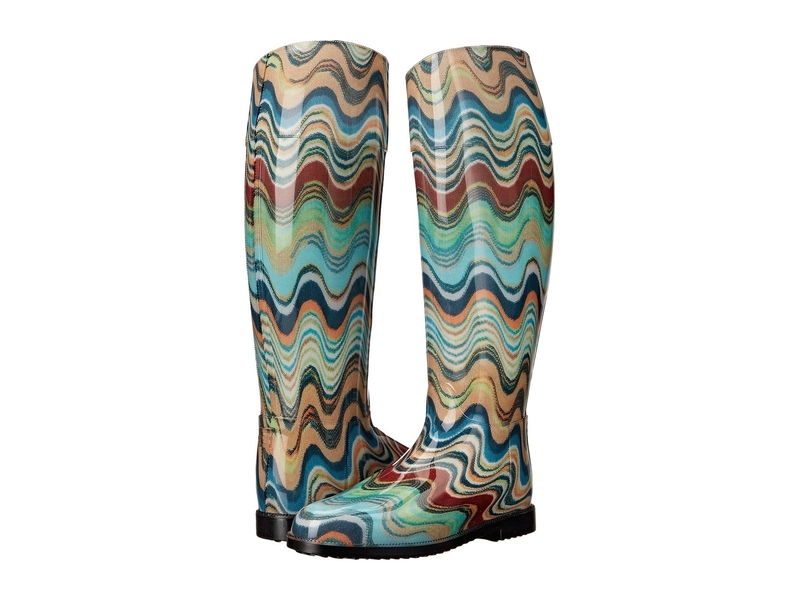 Get these Loeffler Randall shoes on Amazon for $315 (available in women's sizes 5–10), this Saint Laurent clutch from Burlington for $450, and these Missoni rain boots for $136 from Zappos (available in women's sizes 35–40). 20. Check out online outlet stores for amazing deals from some of your favorite retailers. Online outlets like Nordstrom Rack, J. Crew Factory and Saks Off 5th offer the same quality items as their non-outlet parent stores — but the prices are drastically cheaper. 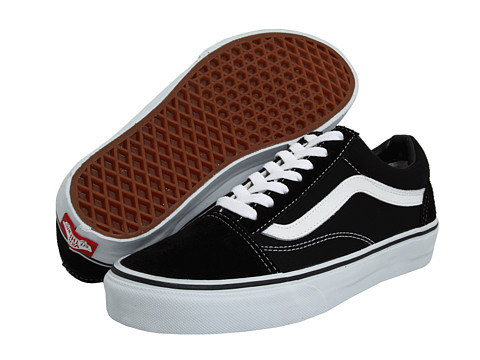 But be aware that the products posted on outlet stores sell quickly because there are limited quantities and they don’t always include full-size runs. 21. Buy extras from stores that offer free return shipping. Not sure what size you are? Buy them all! Retailers like Asos, Zappos, and H&M offer free return shipping or in-store returns. So if you are unsure of your size, buy multiples and just send back the pieces that didn't make the cut. Get the dress at Asos for $34 (available in sizes 0–14) and the sneakers at Zappos for $60 (available in men's sizes 3.5–14). 22. Use Plenti to earn points that can be redeemed at any of their participating retailers. Just shop through their online site or at one of their participating retailers and your Plenti points will be added to your account, which you can redeem for discounts on future purchases. Learn more here! 23. Get the gift of discounts on your birthday with your favorite stores and brands. According to The Penny Hoarder, there are lots of places that give you freebies, coupons, and discount codes for your birthday. Most of those deals are sent via their loyalty programs and newsletters, so make sure to sign up! 24. Use as many coupons as you possibly can. One coupon isn’t always the limit for an online purchase. So try to stack coupons to get an even larger percentage off your order. 25. Shop using a "private" or "incognito" browser. The price of items you are looking for can sometimes be marked up if browser cookies reveal you’ve previously searched the item. To help avoid this pricing trick, shop for items in your browser’s "private" or "incognito" mode, which will make sure your shopping habits aren’t trackable while you are browsing online. 26. Get a free online personal shopper with apps like PS Dept. PS Dept. offers free personal shopping services through their app. They can help you get the best deals, special discounts, and find those sold-out items you can't live without. 27. Sign up for Shop It To Me to get daily sale notifications from your favorite brands and stores in one organized email. They'll ask you a short series of questions, you tell them your favorite brands and stores, and every morning you'll get an email listing what those stores have on sale and which of your favorite brands are giving discounts. Sign up for Shop It To Me here. 28. And don't forget to check out BuzzFeed on the daily for all the best deals on the internet. Every day we search the internet to find the best deals and share our findings with you! Check here for updates and sign up for our newsletter here!